At ChemistCreative most of our work has come through friends and by word-of-mouth. Over the years we have been blessed to work with many clients and do some fun projects that have had quite a bit of exposure. 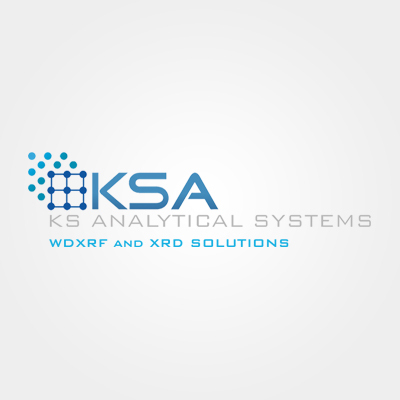 Ken Stauver of KSA Analytical Services contacted us for a logo back in 2009 and we were happy to create a logo for him. 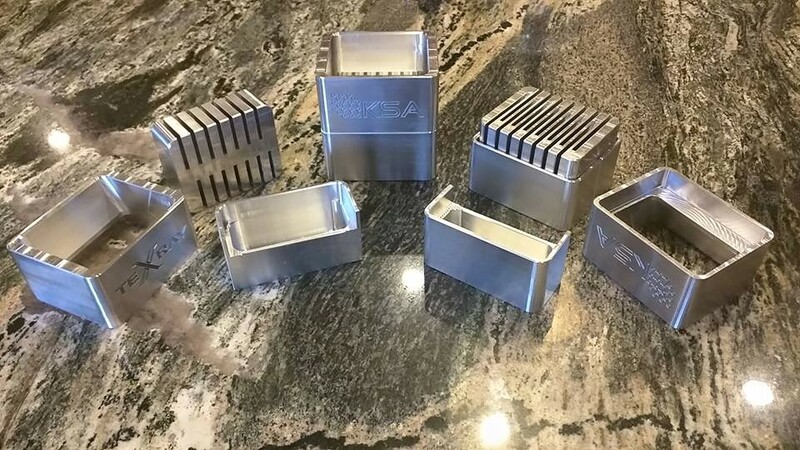 His business deals with X-Ray Defractors and a host of other machinery that we didn’t even know existed before this project. When I created the TexRay logo I was playing around with some dots in Photoshop trying to create something that looked like particles. As I was drawing this it started to look like a crab that had mutated a bit. But there was something about it that I liked. I sent it to Ken with a couple of other options and I was delighted when he chose this one. Over the years Ken’s business has grown and so has his family. 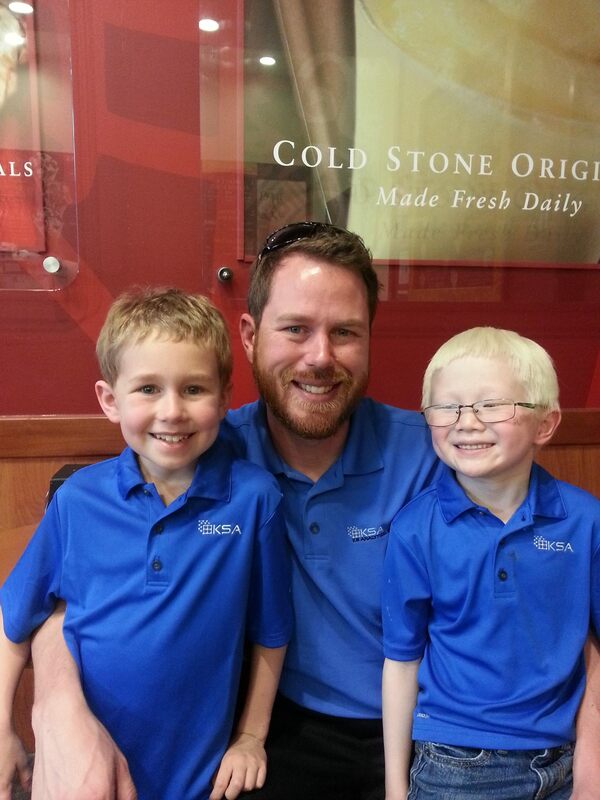 There is a picture below of him with his two sons. Ken and his wife have done a great job of finding shirts that pair very well with the logos. We help with those services, but they did all of this on their own. We just created the logos. 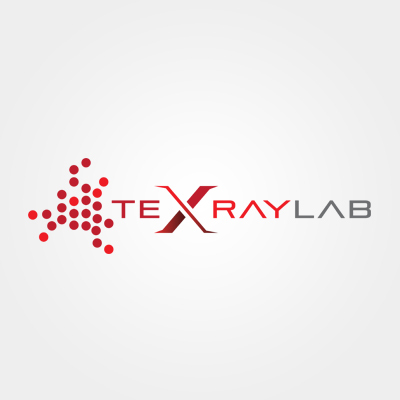 Here are some pictures of how he has used the logos that we created for both of his businesses: KSA Analytical and TexRay Labs.